Sheraton Sopot Hotel, Conference Center & Spa is located on the beach of the Baltic Sea and just beside famous longest wooden pier in Europe. Ideal location guarantees stunning view at the seaside and just few minutes’ walk to Monte Casino Street and many tourist attractions Monte Casino Street. The 5 star-hotel offers facilities and services up to the level that discerning travelers expect. The Sheraton Sopot Hotel, Conference Center & Spa offers 189 elegant rooms and apartments. All are finely designed and furnished with unique Sweet Sleeper beds, which guarantee great relax. Great location by the beach guarantees the best view in town. Thanks to that fact your stay at Sheraton will be unforgettable. Club Floor is a special area reserved for the most demanding guests. The Club Room gives guests a unique arrival experience with personalized welcome and seated check-in at private reception. Delicious breakfasts, evening cocktails as well as a high speed Internet access are included. Sheraton Sopot Hotel, Conference Center & Spa offers a variety of services and entertainment options designed to enhance your vacation or business travel. Link@Sheraton – is a place where guests can meet each other, communicate with their families and friends or just work in the most convenient conditions. Thanks to state-of-the-art and telecommunication solutions, guests can freely surf the Web and enjoy some snacks and drinks while watching TV and reading newspapers. The hotel offers a complete children program Kids Club and babysitting services delivered by a certified and bilingual staff. Sheraton Sopot Spa is an ideal place for relaxation and sensorial experiences. Here guests can bathe in Sopot’s famous natural mineral-rich waters. The hotel offers wide range of spa treatments and therapies designed to relax the body and the mind. Wave - the restaurant serves international and Polish cuisine, and is a perfect place for breakfast, lunch or quiet dinner at the end of a long day. Enjoy the restaurant’s refreshing atmosphere with sea breeze and stunning wide, sandy beach overlooking the sea. Vinoteque - place devoted to those who celebrate the moments of tasting wine, but also to others. The possibility of just glasses of wine allows our guests to taste wines from all over the world. Vinotequa is located in the basement of Home Spa that creates exclusive and exquisite atmosphere. 512 Bar & Lounge provides a less formal ambiance, offering an unlimited variety alcohols from all around the world and over 50 kinds of colorful cocktails. Classic appetizers and delicious desserts complement our wide choice of beverages. InAzia - the unique restaurant, where guests can taste delicious Asian dishes and watch spectacular Teppanyaki chef’s shows. Stylish interior and relaxing music make the atmosphere even more fantastic. Rotunda- perfect place for those who want to escape form the crowded pubs and bars in Sopot. Guests can enjoy wide selection of high class alcohols, fantastic desserts and salads on the terrace with the stunning view of Gdansk Bay. Wine Cube- it is an ideal place to meet with friends or business partners in warm and intimate atmosphere. Private table surrounded by hundreds of bottles of wine from all over the world, will meet expectations of the most demanding guests. Here special guests get the possibility of writing down their own motto. All our rooms have access to daylight. The Starmeeting Concierge service provides guests with full support in operating modern technological facilities, as well as comprehensive information about the conference equipment during the meetings or conferences. Please be informed that the hotel does not have private parking. If you need parking place, please let us know, and we will help you arrange it on the nearby parking. 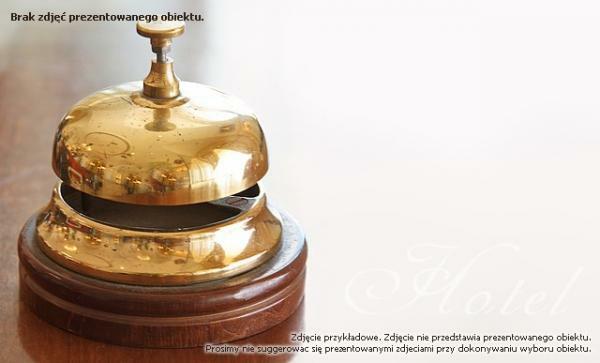 From the 1st of January 2015 local tax is 4.30pln per person per day.